Sheena Fadeyi-Flores has literally been singing her whole life! Born & raised in Lubbock, TX, Sheena first caught the eye of Don Caldwell when she auditioned for a Red Ribbon Drug Awareness concert at the age of twelve. She was booked for the show and blew the audience away with Whitney Houston's rendition of "I Will Always Love You,” which remains signature song for her to this day. She went on to earn a bachelor’s degree in Theater Arts at the University of Texas at Arlington. While living in Arlington, Sheena was a featured performer at Six Flags over Texas for seven years. Sheena has traveled the world as a featured performer on Disney Cruise lines, where she played the role of “Nala” in the Lion King, the lead muse in “Hercules,” and the lead “Circle of Life” singer in the musical, Disney Dreams! Sheena has also been featured in videos by YouTube sensation and former American Idol contestant, Todrick Hall! 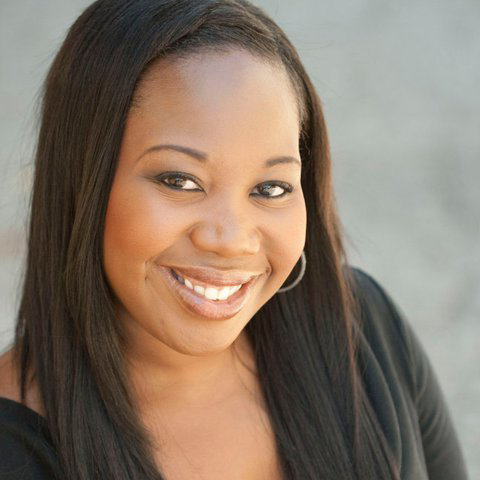 Sheena Fadeyi is in charge of repertoire research, choreography, the vocal group leader and featured singer for Caldwell Entertainment concerts.